Decision Time was an exhibition of artworks, performances, talks and dialogues exploring decision-making in the context of the Scottish Referendum on independence curated by Zoë Irvine & Pernille Spence. As time has progressed towards the referendum in 2014 people were engaged and debate was everywhere. When striving for objective knowledge to evaluate and make decisions, we were confronted, like all decisions, with subjective reasoning, hopes and fears. 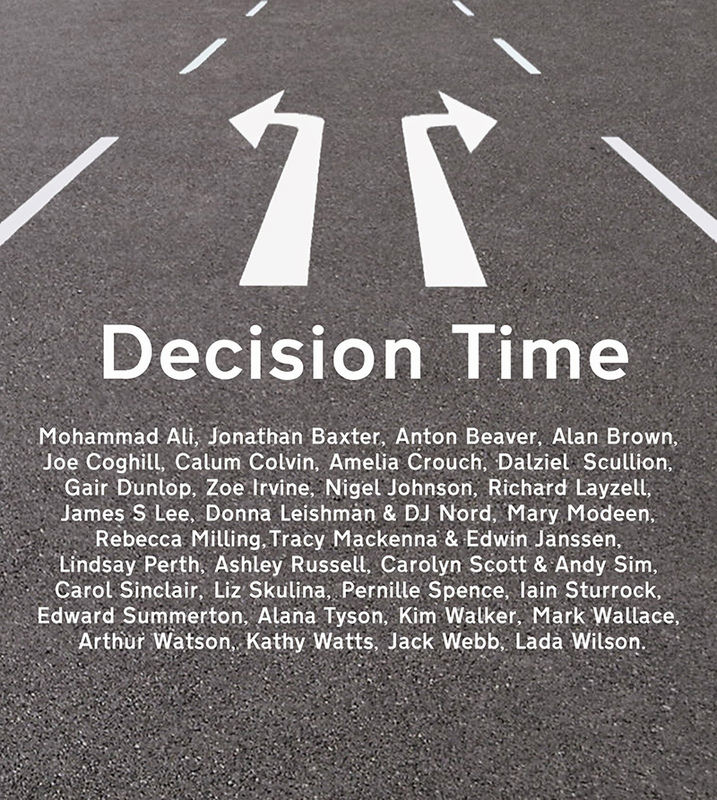 Decision Time brought together works that explore, often playfully, individual processes, reflections and conclusions. Just like other members of the public, artists have researched, expressed their preferences, beliefs, feelings, affiliations, confusions and decisions. The exhibition existed in the week before the historic referendum on Scottish independence. The show was not party political, although there are different views expressed in some of the works. Decision Time was a celebration of the process of choosing, the act of deciding and the consequences of those choices.